Tart cream, spicy earth and a hint of sweet berries comes off this stellar looking bud. Bred by one of the best, Exotic Genetics, this strain is quite the treat and has beautiful nug structure! Perfect for users looking for a relaxing, low anxiety high that helps lift their spirits with indica like flavors without lulling you into sleep. 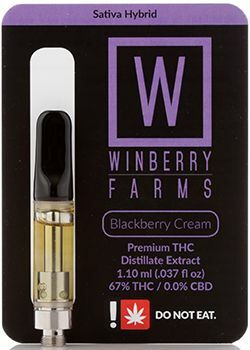 These cartridges are pure THC Distillate with no PG, VG, or MCT cutting agents housed inside a Pyrex glass tank C-Cell Technology (Ceramic Wick-less firing system) with the extra Big Win adjustable airflow capabilities. Along with that the top is a porcelain mouthpiece and all are reusable/refillable.